Fibroids are noncancerous tumors that are generally found in the uterus and most aren’t life-threatening. They are the most common types of tumors seen in females. According to the studies, by the age of 40, 70% of women develop fibroids at least once in that duration. Between age 20 to 50 women are most likely to develop uterus fibroids and among these maximum percentage of women suffer from this condition during their pregnancy. Fewer than 1% of the total cases become cancerous. Diagnosing fibroids may sometimes take a long time. Some common fibroids symptoms are heavy menstrual bleeding, pelvic pain, frequent constipation, sudden and immediate urge to urinate. Fibroids can also be the cause of miscarriages. High estrogen and progesterone (female hormones) stimulate fibroid formation. Some known risk factors for fibroids are usage of birth control, obesity, alcohol consumption etc. Though fibroids disappear when a woman is near to menopause there are some treatments that your doctor may prescribe you. Some of them include medications that target enzymes that regulate the menstrual cycle, anti-inflammatory painkillers and sometimes even a surgery. Curcumin inhibits uterine tumour cell proliferation. Curcumin stimulates cell death in uterine fibroids. Curcumin decrease fibroid formation in uterus. 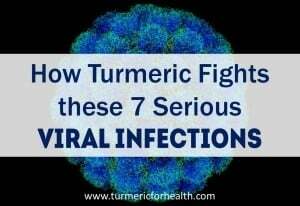 Turmeric inhibits the formation of blood vessels in fibroid lumps. Disclaimer – There is no particular prescribed dose of turmeric defined for uterine fibroids. Based on the studies and reader’s reports we have summarized various ways of taking turmeric which could benefit in this disorder. 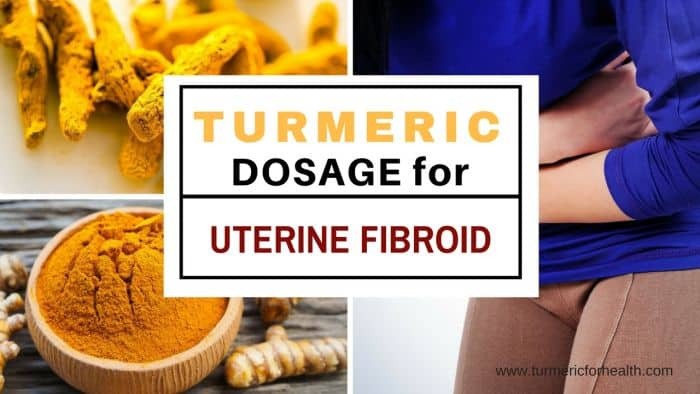 Turmeric roots are a great addition to diet but one can’t expect a substantial therapeutic effect in uterine fibroids by consuming only turmeric roots. Recommended intake: 1-3g or ½ inch long piece of root sliced or chopped. You can also juice it and a pinch of black pepper. This can be a part of your fresh juices or taken individually as 30 ml thrice a day to curb pain. 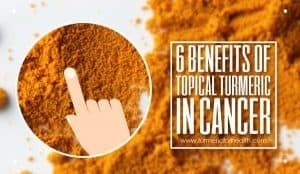 Further Read – Is fresh turmeric better then powder? However, if you take turmeric powder straight with black pepper then it would be 1-2 g of turmeric powder with a pinch of black pepper. Start with a small dose and increase gradually. Avoid taking it on an empty stomach. You can also make Turmeric capsules at home. Golden Paste combines heat, black pepper and healthy fats to increase the absorption of turmeric. It is highly recommended to take this paste after/with meals and to avoid taking it close to other medications. (Read Does Turmeric cause acid reflux? Black pepper in GP: Does it cause drug interaction?) Here is the recipe. Start with small doses such as 1/4-1/2 tsp and if you see no side effects then increase the dose by ¼ teaspoon every week. Continue till reach a dose of 1-2 tsp 2-3 times a day (precisely 1 tsp 3 times a day). This is the ideal dose of Golden Paste where you should experience relief. However the ideal dose differs with every individual. Ideal dose is one in which you get the benefits but do not experience any gastric discomfort. Maximum dosage: 1 table spoon 2-3 times a day only advised if you are comfortable taking it and not experiencing gastric side effects. Turmeric tincture helps attenuate pain and inflammation. Not much is known about its efficacy in uterine fibroids. Please consult an herbalist before taking turmeric tincture for uterine fibroids. Take 10-30 drops 2-3 times a day depending on the condition. It can be added to teas, juices or smoothies. This is a good option for tea lovers and who want to skip the taste of turmeric paste. Here is the recipe for Turmeric Tea. This is just perfect when it comes to combating pain naturally. You can find the recipe for Turmeric Milk here. The recommended dosage for supplements is 300-400mg 2-3 times a day for standardized 95% curcumin extract. 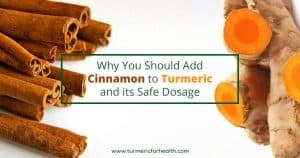 However the dose would differ based on the formulation, hence it is best to consult a doctor before taking turmeric supplements. Avoid taking supplements on an empty stomach and close to the time of taking medicines. Consult a health practitioner before taking turmeric supplements. If you are taking blood thinners, turmeric supplements should be avoided. Turmeric can be included in diet in small doses. If suffering from a bleeding disorder consult a doctor and herbalist or naturopath before taking turmeric. Turmeric supplements should be avoided in case of pregnancy and lactation. Discontinue use of turmeric supplements 2 weeks prior to surgery. Turmeric may interact with certain medications like stomach acid reducing drugs, diabetes medications, blood thinners. Avoid taking turmeric supplements at the same time as medicines. Consult a health practitioner before taking turmeric supplements. If harrowed by turmeric stains here is how you can take care of them. Fibroids are non-cancerous tumours formed usually in uterus. They are the most common type of tumours seen in females. Fibroids are not life threatening but they lead to a number of problems in menstrual cycle. Turmeric holds multiple significant benefits in treating and controlling fibroids. 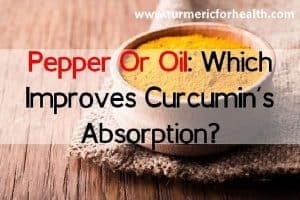 Black Pepper Or Oil: Which Is Better for Turmeric's Absorption?